Mini plans. BIG thrills. Can’t commit to a whole season? Don’t worry, you can still #GetSun all summer with these mini plans. 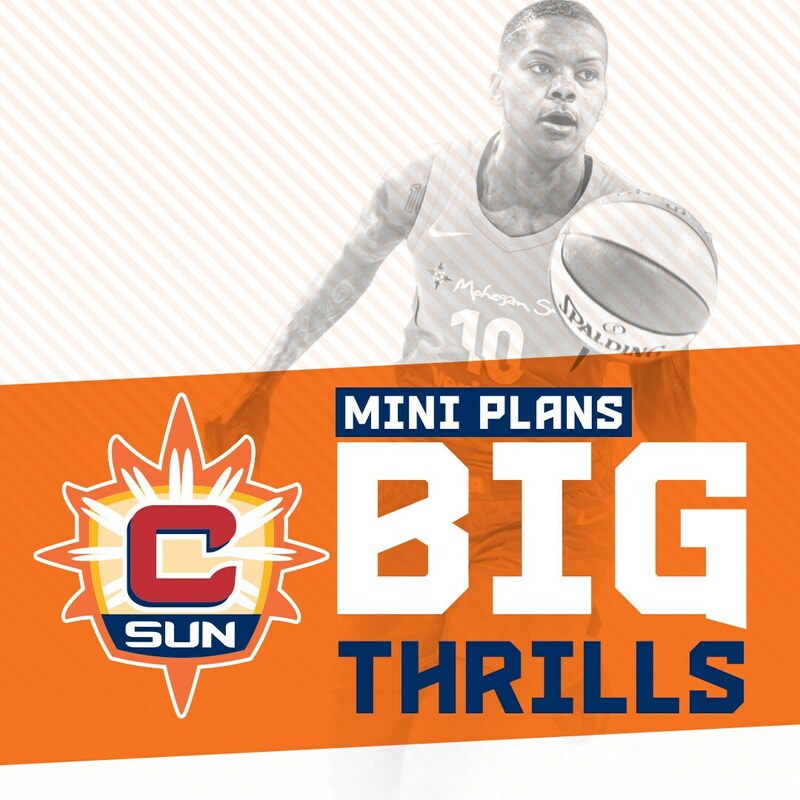 With the Pick and Roll plan you can pick any 3 games throughout the season and also roll right into seats to watch the Sun take on the top teams in the league: Seattle Storm (June 16th), Minnesota Lynx (July 6th) and Phoenix Mercury (July 12th). The Pick and Roll plan is the best way to lock in seats for those can’t miss games while saving money and securing seats that work around your schedule! Score yours HERE. Buy 20 tickets to use any way and anytime you’d like! Take in 10 games with a fellow Sun fan, take in one game with a large group of friends or mix and match depending on your schedule! Experience Sun basketball in the best way it fits your schedule via our 20 You Pick It Tickets plan! Snag yours HERE. Buy 10 tickets to use any way and anytime you’d like! Enjoy 10 games by yourself, one game with a group of friends or mix and match depending on your family’s schedule. Experience Sun basketball in the best way it fits your schedule via our 10 You Pick It Tickets plan! Grab yours HERE.